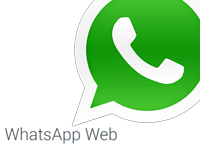 Home » Gadgets & Apps » WhatsApp finally comes to the desktop. It’s a web app! WhatsApp finally comes to the desktop. It’s a web app! If you’re like us here, you’ve wished too many times for a dekstop based WhatsApp. It makes life so much easier for those that spend their day at a desk. Or just those that need to do a lot of WhatsApp stuff like administering groups. So yes, it’s here. WhatsApp made the announcement on their blog earlier today. The desktopversion is actually a web version and not an actual desktop native application. To access it WhatsApp sort of recommends that you use Google Chrome. You can find the app and connect your browser here: web.whatsapp.com. We haven’t yet been able to make it work here at the office apparently something to do with version. We have managed to get it working. You will need the latest version and and get inside WhatsApp itself on your phone, go to settings, and the scan the QR code on web.WhatsApp.com. But as soon as we do, we’ll let you know what the experience is like. If you manage to connect before us, please post your screenshots in the comments below! Here’s a step by step on how to get it working in your browser. In the mean time, we’re super excited to be going back to the days when Gtalk was the cool thing, except this time the app is on every device and it’s used by everyone we know! Works great but it seems to require your phone to be connected to the internet at the same time! Great news i can’t wait; is it stricly Google Chrome only or i can try my Safari or Firefox? Try other browsers and let us know what happens? Please make it a desktop app like Viber! So I can access it on my work machine when my data runs out on my phone! 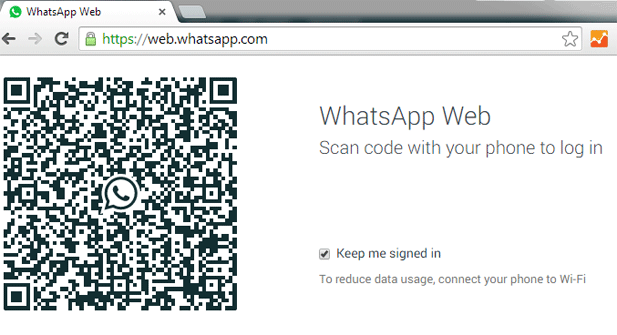 You have to scan the QR code from within your WhatsApp. For that you need the latest version of WhatsApp. handy move but ,does not replace or work if you are not already on whatsapp on your working mobile….so if iyou dont have a phone hapana hapana!!…. unogoshaya foni sei mukore uno? handy move but ,does not replace or work if you are not already on whatsapp on your working mobile….so if you dont have a phone hapana hapana!!…. Its not working on my phone, android system. I have the latest whatsapp version. It keeps on scanning. I have whatsapp bundle in my phone only, zero credit. I am thinking maybe for it to work it needs actual data in the phone not whatsapp bundles alone. Anyone who managed to connect with only whatsapp bundles in phone and zero credit? I just switched from Whatsapp+ to regular whatsapp version 2.11.505 (newer than the version existing when whatsapp web was launched). I am having no success with the scanning however. The phone just keeps on scanning. Anyone having a similar problem? I have got it to work easily first time. It appears to simply mirror the WhatsApp screen on the phone on to the laptop, thus enabling one to read and send chats. There is even a menu for notification of incoming chats. It reminds me of a Nokia suite that allowed one to send and receive text messages, and calls on the laptop screen. The phone has to be connected to WiFi or mobile data, and linked to the laptop by the scanning the CR code.